What is the news like on Turkish TV? Global concern about reporting freedoms in Turkey tends to focus on the press, with good reason: the last two months alone saw administrators appointed to opposition newspaper Zaman and two editors at Cumhuriyet, another opposition title, begin their trial on treason charges. But far more people in Turkey get their news from the television – 20 million viewers, as against 3.5 million newspapers sold daily – and the nightly news coverage gets little external scrutiny for it. Early last month I spent an evening watching the first quarter hour of the six main news bulletins. I picked a Tuesday, because that is the day the main political leaders address their parliamentary groups. It is the day opposition leaders are most likely to get news coverage. Of course, an opposition leader’s speech is not necessarily headline news, particularly if other events outshine it. The day I picked – Tuesday 9 February 2016 – also saw officers killed in clashes with the PKK in southeast Turkey and a dispute with the United States over the status of northern Syrian Kurds. But the leaders delivered some fiercely critical rhetoric on the government’s role in a conflict that was routinely costing lives. The interesting part was which channels chose to cover the criticism – if at all. The compilation above offers a flavour of what I saw – together with English subtitles. All six channels I watched – atv, Kanal D, Fox, Show, Star and TRT1 – offered plenty of coverage of the governing AK Party’s parliamentary group meeting, and rightly so. 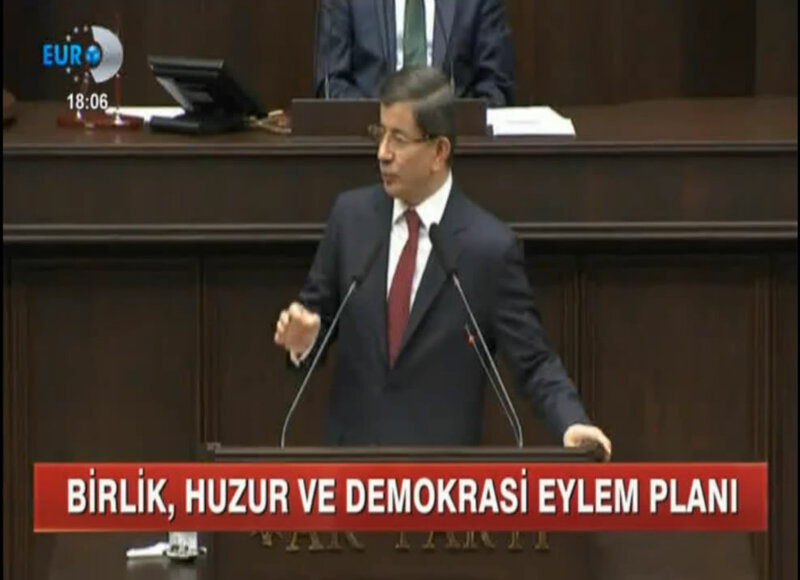 Party leader Ahmet Davutoğlu is the prime minister and his response to ongoing clashes within his own country is important. The record on coverage of opposition parties, however, was a lot more patchy. Bulletins on channels closely associated to the government produced some interesting journalistic puppetry by ignoring the portions of opposition leaders’ speeches that criticised the government. Take Kemal Kılıçdaroğlu, leader of the centre-left CHP. His speech accused the government of turning a blind eye to PKK weapons being buried during years of peacetime in the southeast. He delivered a neat soundbite challenging the notoriously litigious government to sue him over his claims. He also made somewhat supportive remarks of cross-party work on a new constitution, saying it was vital for purging Turkey’s military past. 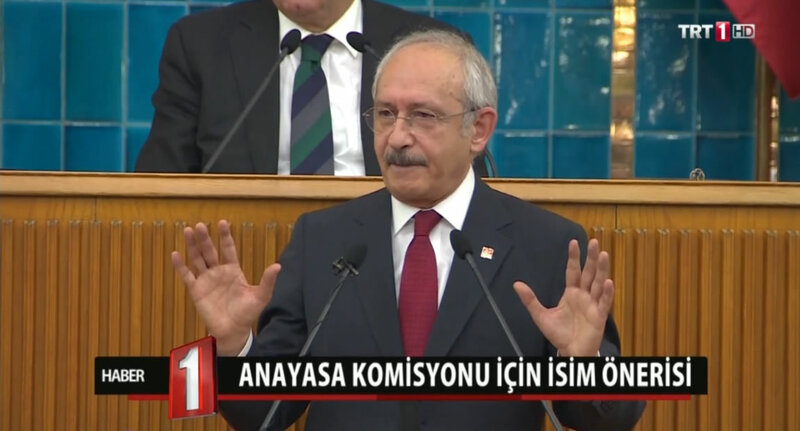 Three channels – atv, Show and TRT1 – reported only his remarks on the constitution, giving the impression he was actually supportive of the government. It is surely no coincidence that TRT is Turkey’s state broadcaster, while atv and Show are owning by conglomerates with close links to the government. Nor should it surprise anyone that coverage of a reception hosted by President Recep Tayyip Erdoğan for people who have given up smoking featured early in atv and TRT1’s news bulletins on an already busy news day. 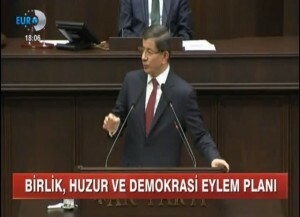 The co-leader of the pro-Kurdish HDP, Selahattin Demirtaş, delivered the most vehement anti-government rhetoric that day. 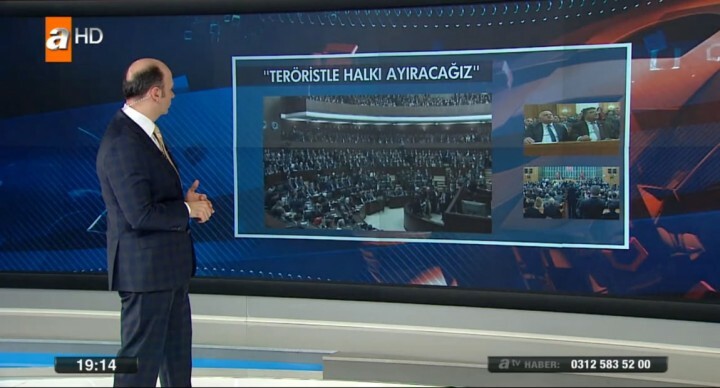 He said the Turkish government was complicit in concealing the deaths of civilians, but two channels – atv and TRT1 – didn’t report the speech at all. All six channels did cover the speech delivered by Devlet Bahçeli, leader of parliament’s fourth party, the nationalist MHP. Despite a speech that slammed President Erdoğan for “constructing a totalitarian system of administration”, it was his criticism of the United States that made the cut. That, and the fact he delivered his speech sitting down because he was recovering from heart surgery. Relative to the other three, Fox, Kanal D and Star covered the opposition leaders’ speeches fairly comprehensively. Turkish viewers clearly do have a choice of news viewing and the ratings show two-thirds of available viewers chose to watch at least part of a news bulletin on the evening of 9 February – a remarkably large figure. But choice does not necessarily mean quality. There was very little analysis: most stories were reported as a sequence of events, without using correspondents or experts to provide context or explain what it all means. Analysis is important in journalism because it helps audiences that don’t follow the news obsessively to understand what is going on. The problem is that the line between analysis and opinion is open to interpretation and can lead to accusations of bias – and in a politically polarised environment like Turkey’s, that can mean the difference between keeping your job or being sacked. Perhaps that is why few channels bother to analyse the day’s news. 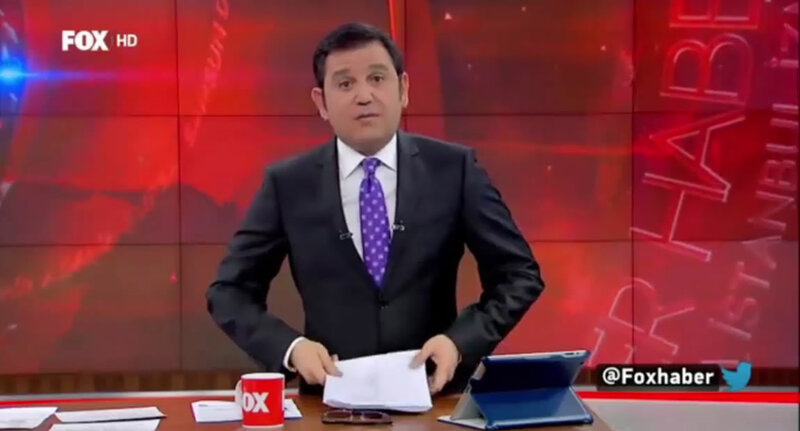 The one exception is Fatih Portakal, of Fox, who often adlibs his presenting in an engaging style of commentary that helps gives viewers some context to the news. More viewers watch his bulletin than any other, suggesting there is an audience for his style. Of course, Portakal has rare advantage of a foreign proprietor – Rupert Murdoch – who does little business with the Turkish government.